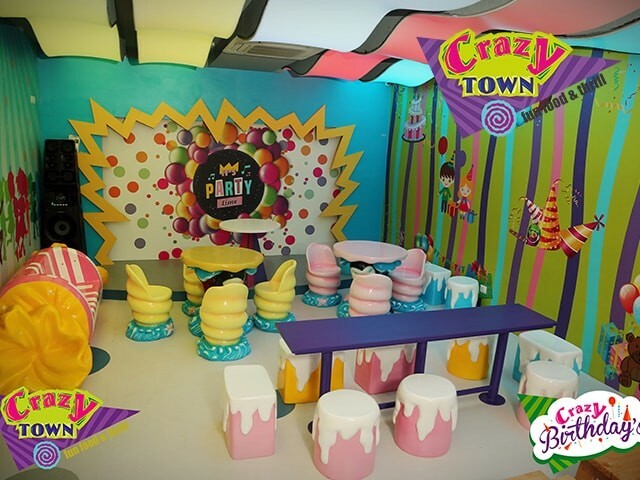 3 Exciting missions to choose from: 1. 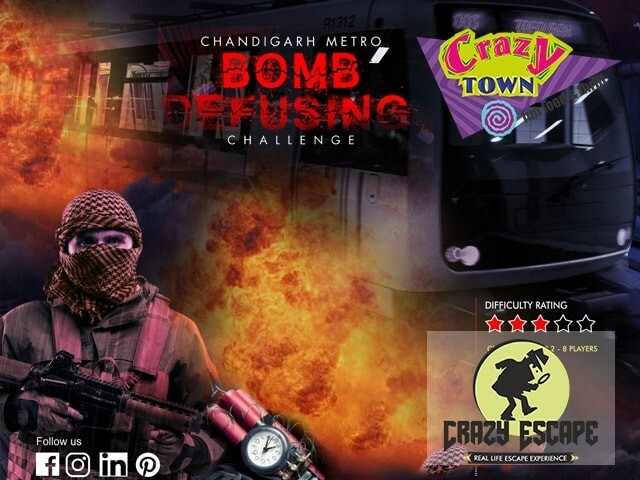 The Bomb Defusing Challenge: Be the part of a bomb squad team and save the newly opened Chandigarh metro. 2. 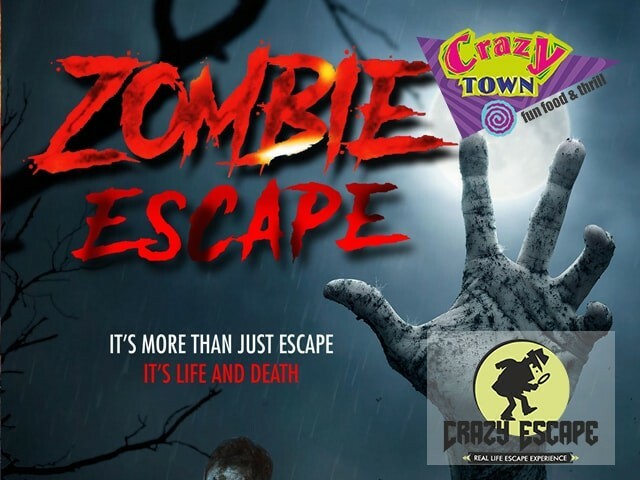 The Zombie Escape: Set yourself free from the trap of the Zombies within 60 min or else they come back and cook you for their next supper. 3. 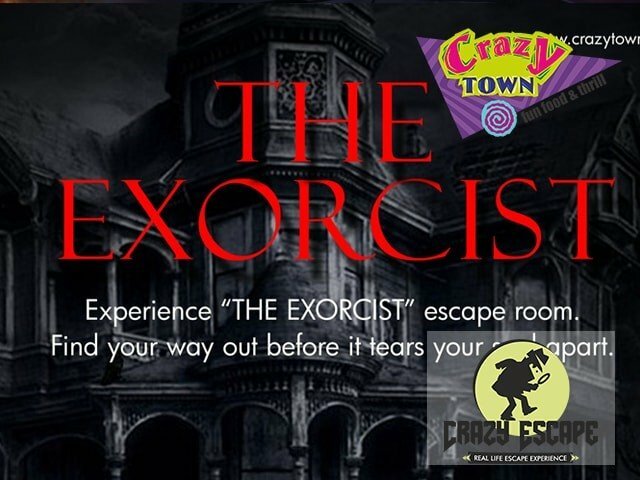 The Exorcist: Trapped inside a mansion, abandoned for past 100 years. 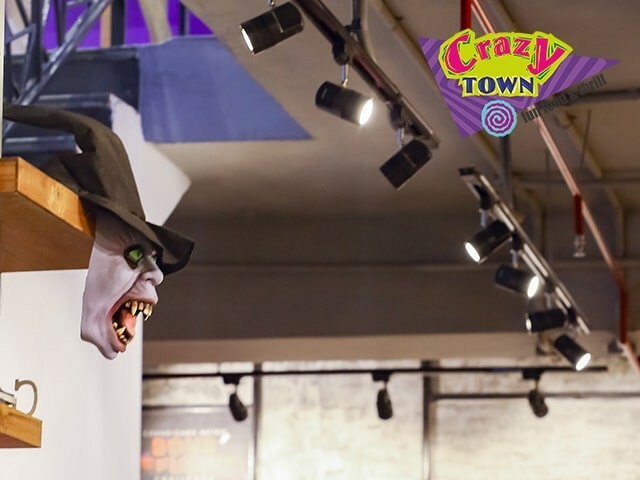 Get out within 60 minutes, or the spirits of the mansion overwhelm you and you remain inside, FOREVER. 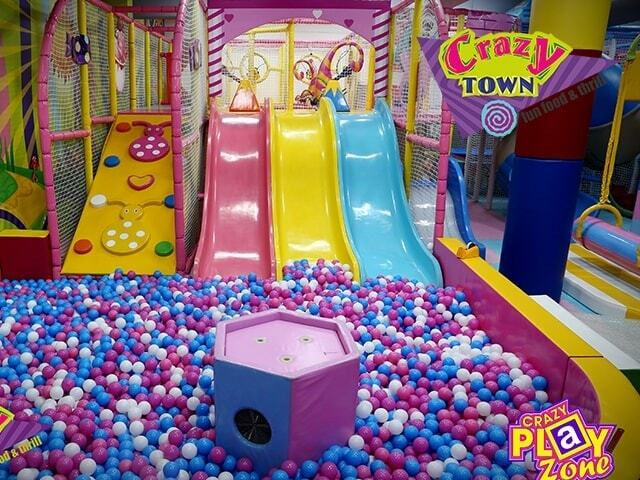 Fed up of those boring games for your child? Do not know what to do? No problem. 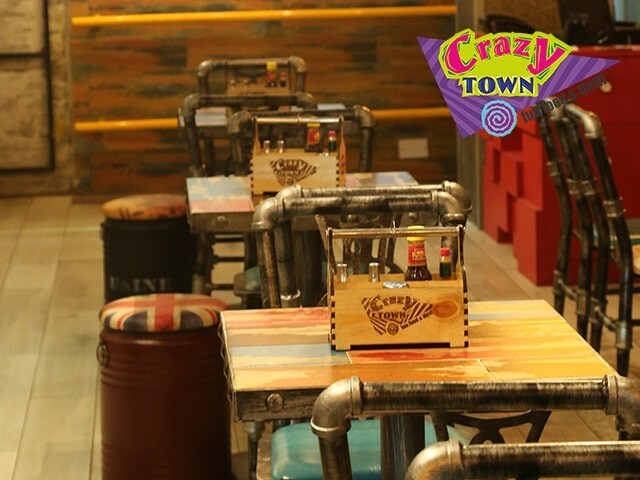 Crazy Town has got the solution. 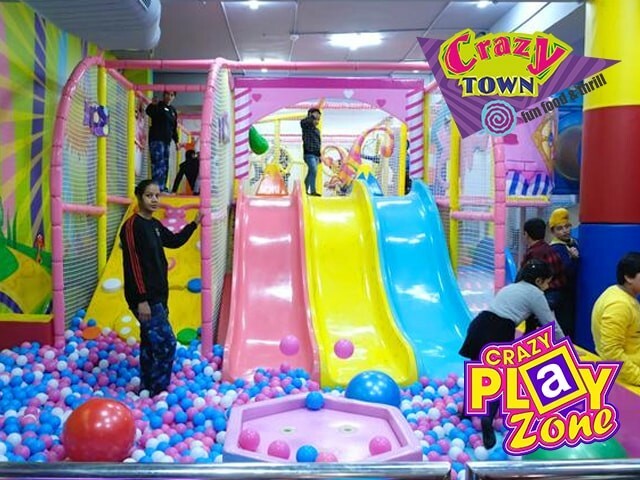 Crazy town is the best place in Chandigarh to spend the quality time with your kid. 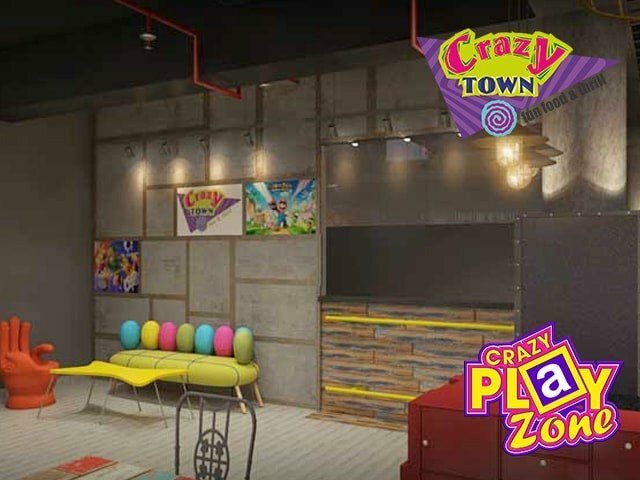 A comfortable play area that gives, children and parents, a lighthearted escape from their brain aching daily tasks. 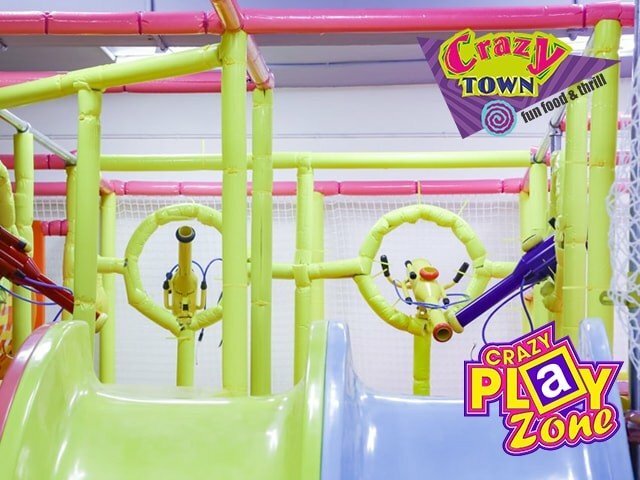 Get the punch of thrill and joy with the most exciting games. Bike rides, Car racing, Bungee jumping, combat fight and what not. Minimum no. of people for mission for 8 would be 5. Minimum number of people for mission for 4 would be 4.